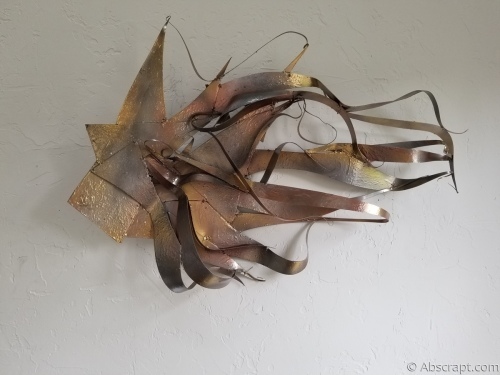 made of steel and ready to mount on your wall. 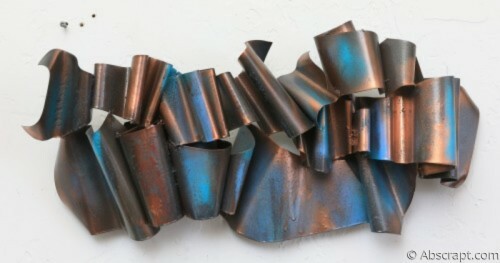 All of the metallic colors come through ion differnt shades of light. 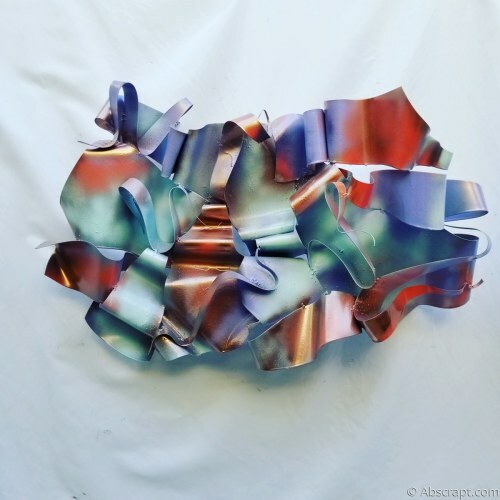 This multi colored, metallic piece has a little bit of of everything in it. 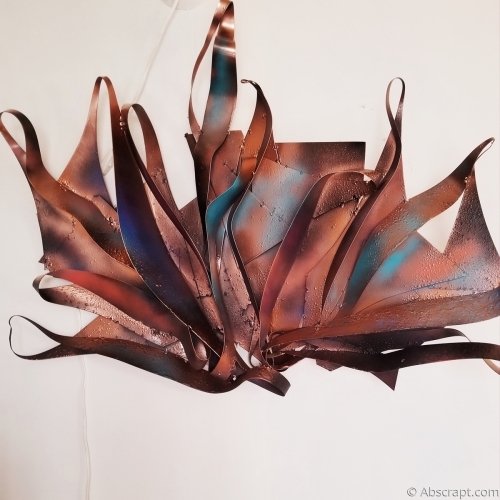 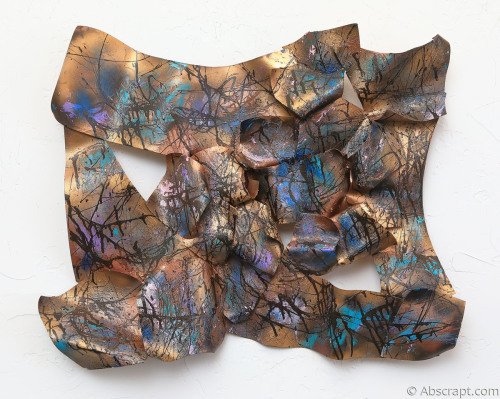 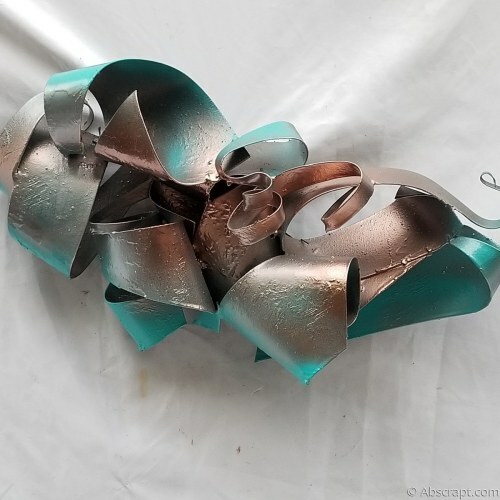 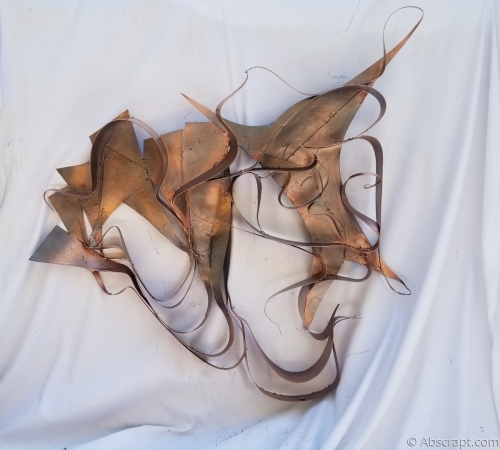 Abstract Metal Sculpture by Sarah Mulligan "It's All Relative"
This piece is really beautiful with the faint colors of blue and green showing through the metallic copper finish. 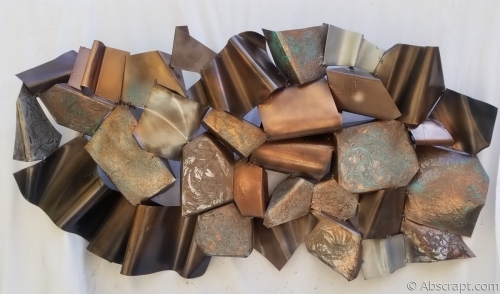 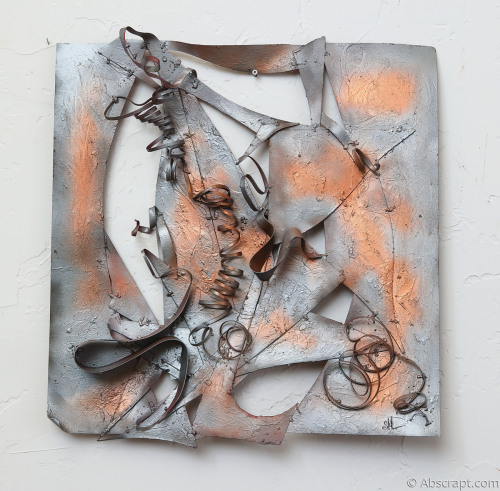 This is quite a heavy piece , with bold , bright colors under a metallic copper finish. 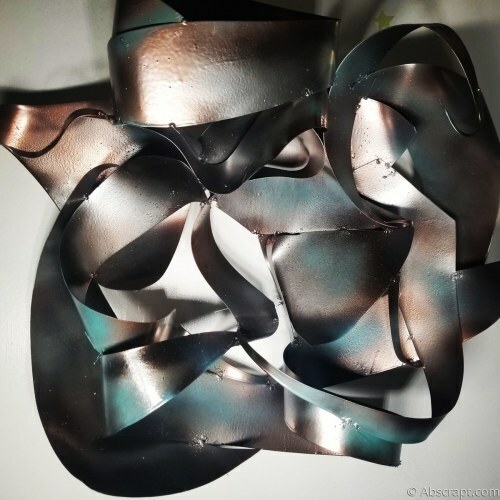 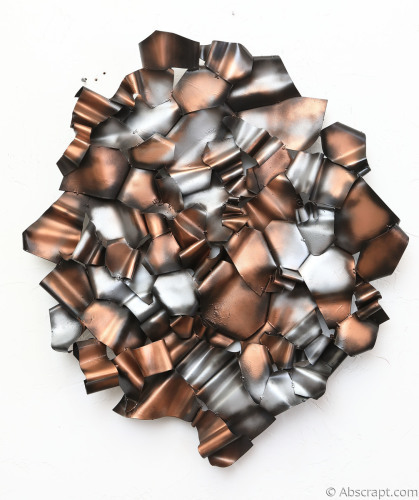 This piece is part of my metallic series and you can see when looking at my body of work at a whole, exactly when I started to take my creative flow down the metallic path.